Fastest Download Manager For Linux - Xtreme Download Manager is a download manager app based on Java, a powerful tool to increase download speed up-to 500%, resume broken/dead downloads, capture FLV videos from any site and schedule downloads. It can pause/resume downloads even broken downloads are resume-able, xdman also has functionality to grab videos from around the internet and offers schedule downloads. 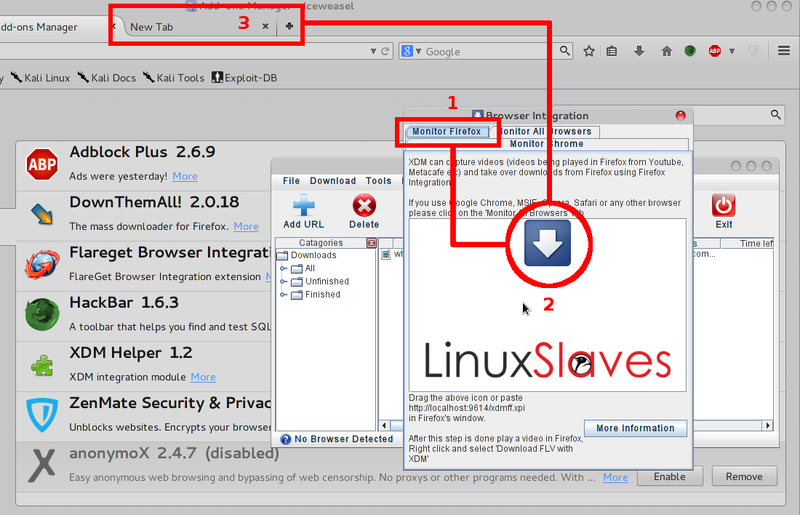 Xdman also can be integrate with any browser to manage downloads automatically by using Advanced browser integration. Download FLV, MP4, HTML5 videos from around the web. Supports HTTP, HTTPS, FTP protocols with Authentication, Proxy Servers, Cookies, Redirection etc. Pause/resume broken/dead downloads caused by connection problem, power failure or session expiration. Built in video downloader, HTTP Traffic monitor, Batch downloader. Can be configured to perform Automatic Antivirus checking, system shutdown feature on download completion. You'll see XDMan appear in your desktop and ready to integrate to your browser. After successfully install XDMan, next thing you should to do is integrate this download manager into your browser to get all features work properly. From XDMan home menu, open Tools > Browser Integration. Open browser you've then drag XDMan icon and drop to new tab in your browser. A popup windows will appear to ask install this extension. Install it and all done. See the picture for more details. If you looking for others best download manager on Linux you can read my previous post at Best Download Manager In Linux. So that's all I can write about How To Install And Integrate XDMan To Web Browser. Hope you've enjoyed reading this tutorial as much I’ve enjoyed writing it. Let us know about speed, issues, etc by comment below this post.